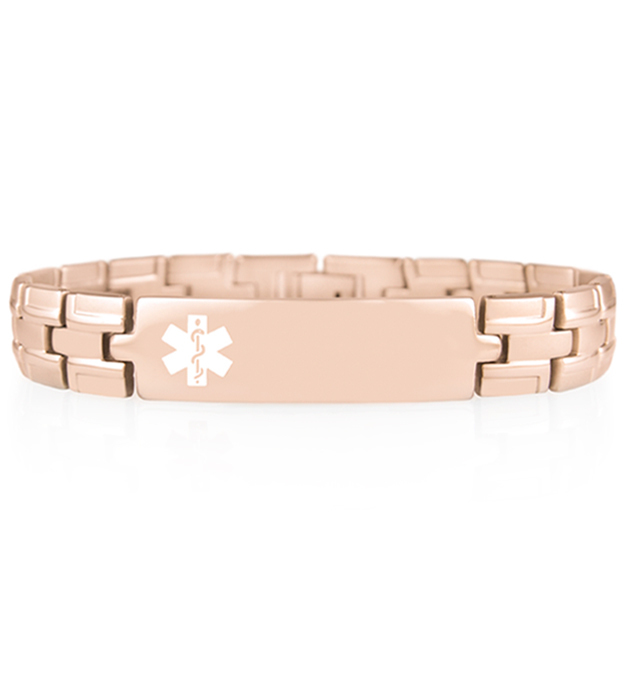 A stylish, modern version of the traditional medical alert bracelet design, the Explorer Medical Alert in Rose is a water-resistant, hypoallergenic medical alert with a beautiful rose gold tone finish. This sleek and durable medical ID bracelet bears a white medical caduceus symbol on the front to alert first responders to your medical information, engraved on the back. This medical ID bracelet features a flip-style closure opposite the affixed ID tag for a discreet, comfortable bracelet that’s perfect for everyday wear.